Why You Should Say Yes, Please to Teas! The world of tea is overwhelming since there are so many types of teas. Browsing for the right tea sparks a lot of questions. So, what is your “T.Q.”? How are you supposed to know which teas have caffeine and which do not? 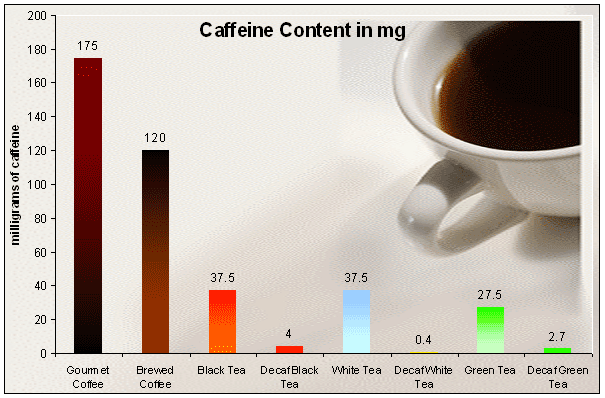 See chart below for caffeine information. Do you know which teas you should avoid if you have a Thyroid condition? If you are Th2 dominate you should avoid green tea because it stimulates the Th2 system. Are you checking the labels on your tea? There are teas that you should avoid if you have a soy or gluten sensitivity. Some teas contain barley malt to give it a sweet taste but unfortunately barley is a gluten. Another hidden ingredient is soy or lectin. I have run into several Salada and a few Tazo teas that include these two ingredients. 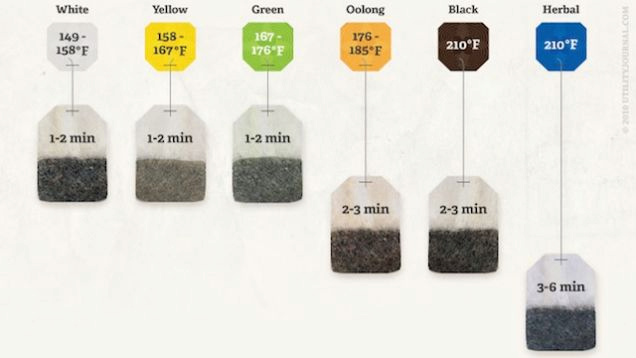 Do you know what temperature to steep your tea in? Treat your tea according to its type. Brewing time and temperature differs by type of tea. This is because some tea leaves become burnt or bitter at too high of a temperature. Below is a great guideline chart. Here is an outline of many different types of teas and a few of their great benefits. The list starts with the least caffeinated to the most caffeinated. *Please note that the only tea that does not include caffeine in this list is herbal tea. Even decaffeinated teas contain a small amount of caffeine. See chart. Herbal– hot or cold infusion or concoction made from herbs, spices, leaves, flowers, fruits, berries, seeds, roots, bark, or any combination of these. Flavorful and naturally caffeine free. Great way to hydrate and consume herbs, vitamins and minerals for body health. 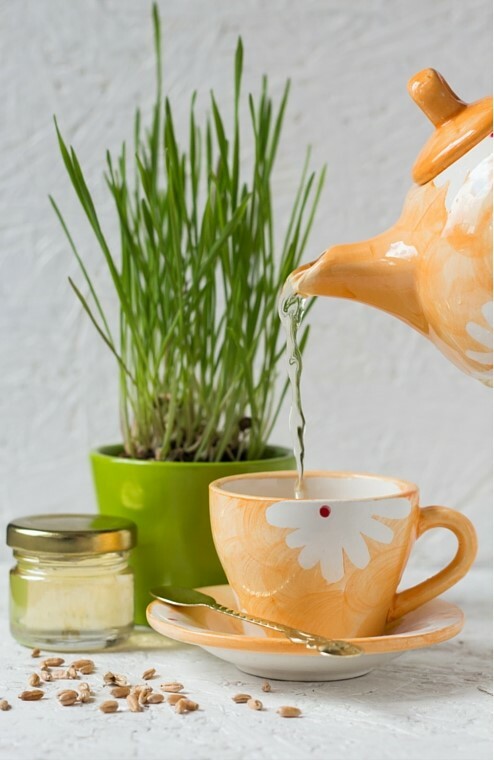 Some examples of herbal teas include: Chamomile Tea, Cinnamon Tea, Ginger Tea, Peppermint Tea, Dandelion Tea, Hibiscus Tea, Red Clover Tea, and Rooibos Tea. The high antioxidants help protect against cancers. May protect lungs from damage caused by exposure to cigarette smoke while helping curve the appetite to smoke. May be able to cut the risk of stroke. The same plan produces all pure teas (not herbal tea) so they often share the same benefits. I tried to list the unique benefits for each type, but you will often get similar benefits no matter which type you drink. Did you learn something new about tea after reading this blog? Do you have a fun fact or added benefit to add? Comment below, we would love to hear it! Edgar, J. 2009. Types of Teas and Their Health Benefits. The Tea Talk. 2015. White tea benefits health and wellness in so many ways! Henry, A. 2013. Make the Perfect Cup of Tea with These Steeping Times and Temperatures. Previous PostGet a “Smooth” Start to Your Day!Next PostIs There Something Fishy On Your Dinner Table?